Oh gosh! You make me hungry! 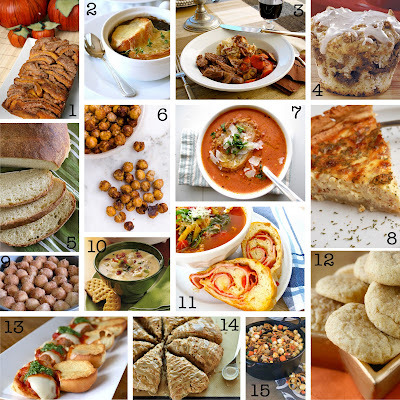 Thanks for featuring some of my recipes (tomato basil soup, pot roast & soup/pizza bread)! I can't wait to try some of these... especially the pumpkin snickerdoodles! Mmmm, now I am hungry!! !